In 1996, the University of Illinois embarked on a new scholarship program to recruit the best and brightest students from throughout the state of Illinois and beyond. 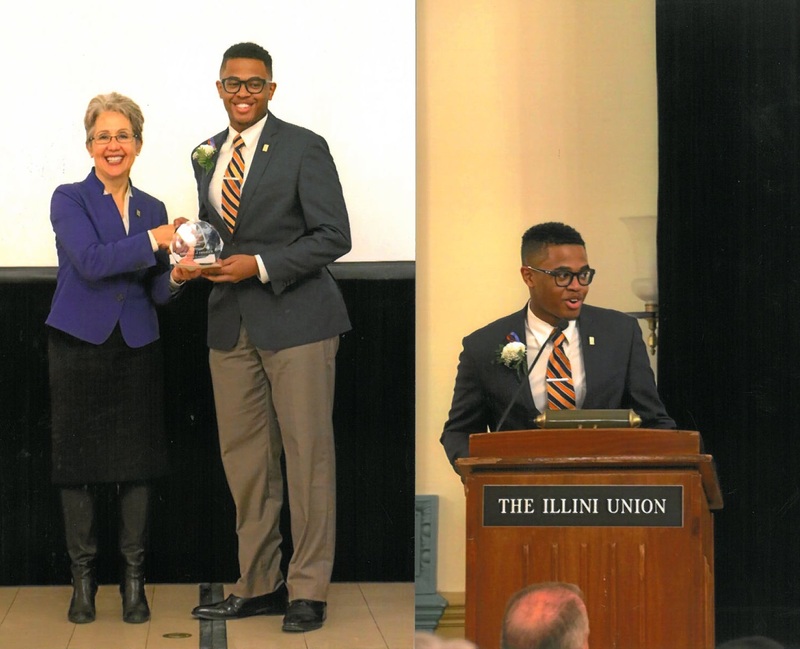 The James Newton Matthews Scholars Program, named after the very first student admitted to the Illinois Industrial University which later became the University of Illinois, annually awards $2,000 scholarships (per student) to incoming freshmen who have demonstrated outstanding academic achievement in high school. Scholarship recipients must maintain a cumulative grade point average of 4.4 on a 5.0 scale and progress toward a degree to remain eligible for the scholarship for all four years. 1. Describe in detail how the nominee has made a significant impact on the quality of the campus and/or community life.